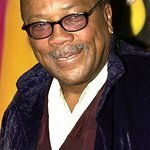 Quincy Jones has thrown his weight behind a project in Rabat, Morocco, that will see him produce some of the biggest names in Arab music on a charity single. The legendary producer has been working on an Arabic version of his song, Tomorrow (A Better You, A Better Me), with stars such as Lebanon’s Majida El Roumi, Iraq’s UNICEF ambassador Kadhum Al-Sahir, Tunisia’s Saber El Rebai, Egypt’s Amr Diab and Morocco’s Asthma Lmnawar. Money from the song – titled Bokra – will go to projects for children and educational arts and culture scholarships in the Middle East and North Africa.